I have been an American Express customer for quite a few years, now. They are the card we were given to use for work, and since then I have been a huge fan of their pro-active customer support. As with my recent post for Chase, the links in this post are affiliate links, and I will get credit from American Express if you use them, so thank you in advance if you do! That said, if you find a better link (directly from American Express, or otherwise), please use it instead. For those of you in the market for a new credit card, American Express (AmEx) offers two that are particularly attractive for travelers as well as every-day use: the Platinum Card, Starwood Preferred Guest (SPG) Card, and the EveryDay Card. While the Platinum Card and SPG Card do not have any foreign exchange fees, the EveryDay card does carry fees of 2.7%. Both the Platinum card and the EveryDay card earn Membership Rewards points – AmEx’s rewards currency, similar to Chase’s Ultimate Rewards points, while the SPG Card earns points directly with Starwood. This is an important distinction because it affects where your points can be transferred! One last point before I go further… the Platinum card, below, is a charge card, not a credit card. This means that the balance is expected to be paid in full with every bill, but does not have a traditional credit limit. Different credit reporting agencies handle this differently, and it can sometimes be misrepresented as you are increasing the spend without increasing the available credit. As with all cards, credit or charge, be responsible with the use! All cards here offer enrollment in a program known as ShopRunner, which offers free 2-day shipping from many retailers – Neiman Marcus, NewEgg, Lucky Jeans, and so on. They also offer access to AmEx Offers, which are allow for redemption upon activation on the card – simply use the card and get a credit back! Though this card is not for everyone with a $450 annual fee and mediocre earnings rate of membership points (1 point per dollar), the Platinum charge card offers quite a few perks! If you are a frequent Delta flyer, for example, but not often enough to reach Diamond Medallion Status, the Platinum card will grant you entry to any Delta SkyClub while traveling on Delta. 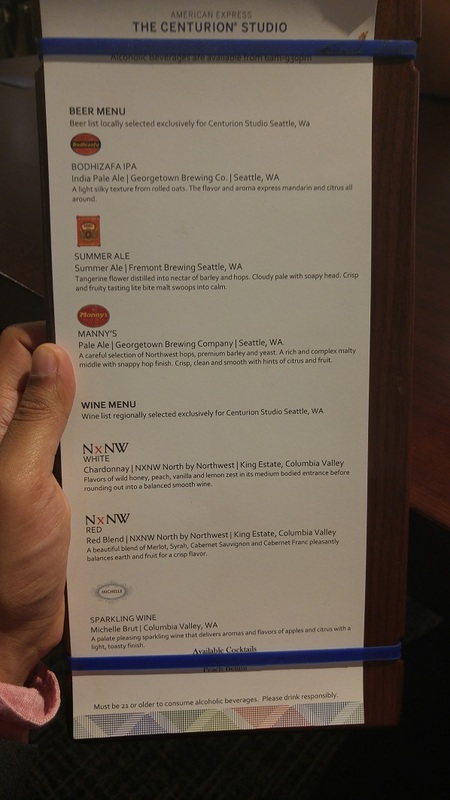 It also offers access to the exclusive Centurion Lounges. 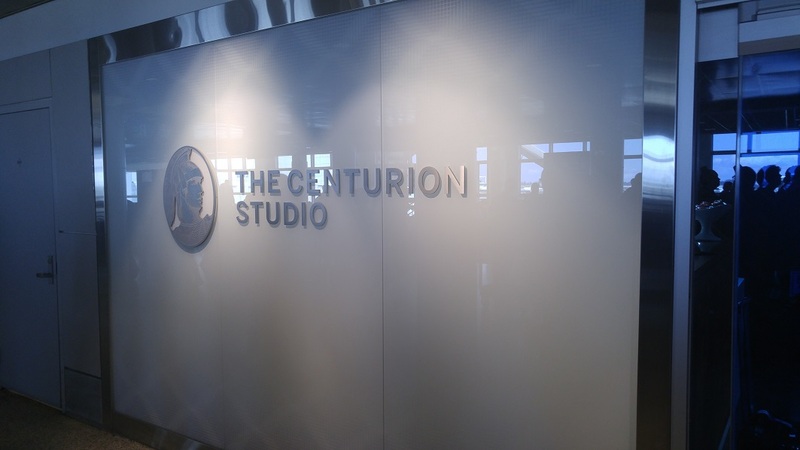 I had the opportunity to visit the Centurion Studio in Seattle a few weeks ago and was quite impressed, even with the limited options of it being smaller than the full-sized lounges at other airports. In addition to access to these two lounge families, you also receive access to the Priority Pass Select program, which partners with airport lounges around the world. This includes such lounges as The Club, which can be found in ATL’s international concourse and offers Glenlivet 12 year complimentary! While access to you is covered by the agreement between AmEx and both Delta and Priority Pass, guests are extra. The Platinum card also offers access to the Boingo wireless service offered at most airports. This is the worldwide coverage plan, so as long as the airport is partnered with Boingo, you are set. Furthermore, if you use your Platinum card to pay for either your TSA Pre-Check or Global Entry application, AmEx will reimburse you for the fee — once every five years. Though the card has a $450 annual fee attached, you are given a $200 airline credit. Though this cannot (officially) be used for tickets, there are ways to turn that credit into cash. Some Google-fu will reveal everything! 😉 Keep in mind that the annual fee is by membership year, while the credit is by calendar year. This means that you can get up to $400 back depending on when you apply for the card! Unlike the SPG card, below, the annual fee for the Platinum card is not waived for the first year. The other major perks for the Platinum card are: premium roadside assistance, Gold status with both the SPG and Hilton Honors loyalty programs, elite status with the three major car rental agencies, purchase and return protection, and access to the Fine Hotels and Resorts program. These are on top of access to a concierge that is available 24/7. This application link is good for an offer of 40,000 Membership Rewards points if you meet the minimum spend of $3,000 in the first three months of membership. There are often private invitations to offers of 100,000 Membership Rewards points, so it never hurts to check the AmEx site directly! The SPG card from AmEx offers earnings of 4 or 5 points per dollar spent at Starwood family hotels, depending on your status with SPG, and 1 point per dollar otherwise. Note that you are gifted Gold SPG status if you have the Platinum card, so you are guaranteed 5 points per dollar right out of the gate! As with the Platinum card, the SPG card offers complimentary enrollment in the Boingo program, which can save quite a few dollars – and headaches! You also get similar purchase and return protection, which is also good news for savvy shoppers. The other handy benefit of this card is that you receive a credit of 2 stays and 5 nights per year, so you need fewer stays (or nights) to get to the next status level! Each stay will have complimentary premium internet, to boot. The link above offers a chance to earn 10,000 Membership Rewards points if you meet the minimum spend requirement of $1000 in three months. In addition to the 1 point per dollar in general spending you earn, you also receive 2 points per dollars for the first $6000 spent per year at grocery stores. On top of that, if you make more than 20 transactions per month, your earnings for the month increase by 20%! This card is an excellent daily-use card, and while it isn’t the most lucrative for points generation (look at the EveryDay Preferred for that! ), as long as you have a Membership Rewards card in good standing, your points stay alive. Combined with no annual fee, access to ShopRunner, and AmEx Offers, this is a solid entry-level card to begin building a relationship with AmEx. For those of you in the market for a new credit card, Chase offers two that are particularly attractive for travelers: the Chase Sapphire Preferred (CSP), and the Chase Freedom. There is going to be a new member of the Sapphire family known as the Sapphire Reserve, but it won’t be available until later this month. The links in this post are affiliate links, and I will get credit from Chase if you use them, so thank you in advance if you do! That said, if you find a better link (directly from Chase, or otherwise), please use it instead. One word regarding foreign transaction fees before we get started — the CSP does not have any (so you pay the converted rate, per Visa standards), but the Freedom does have a fee of 3%. Be careful what you use, where! Currently, you can receive 50,000 Ultimate Rewards Points with Chase by meeting the minimum spend requirement of $4,000 within a 3 month period. While these points can be used towards travel at 1.25 cents / point, you can also transfer them to various frequent traveler programs (such as KLM/Air France, United, Hyatt, and so on) at a 1:1 ratio. A full list of travel partners can be found over at The Well Traveled Mile. The CSP offers quite a few perks that other bloggers extol, but my favorites are the Primary Rental Insurance (CDW), guaranteed access to a human representative (24/7), and great trip and product protection. In addition to the 50,000 point bonus for completing the minimum spending requirement, you will earn 2 points per dollar on almost all travel purchases (air, train, taxi, dining out, etc. ), and 1 point per dollar on other spending. The downside is that this credit card does have an annual fee of $95, but it is waived the first year so you can see if it is a good fit for you. In addition to the perks offered by Chase, as a Visa Signature card, you get quite a few treats from Visa directly. A full list can be found on Visa’s website, but some of the nicer ones include: a 24/7 concierge, deals on wine tastings in California, and access to the Signature Hotel Collection – similar to American Express’s Fine Hotels and Resorts. The Chase Freedom is an interesting card in that while it advertises itself as a cash back card, if you have either a CSP or Chase Ink Plus, you can use them in their “native” form of Ultimate Rewards Points. This offers a lot more versatility as you can get more than the 1 cent per point that you would get with the Freedom alone. The link above offers $150 cashback after meeting the minimum spend of $500 within 3 months, but that is stored in your account as 15,000 Ultimate Rewards Points. There are occasionally offers of $200 cashback (20,000 Ultimate Rewards Points) available, however. Similar to the Discover family of cards, the Freedom is built around rotating 5% earning categories with 1% earning otherwise. This is particularly nice as Amazon has been available as a category for both last year and this year, and gift cards count! Adding to the perks – this card has no annual fee, so keeping it around will strengthen your credit score over time.